This week, 44 BMHH ran at 8 different Parkruns. There was 1 all time Personal Best (PB), 8 course Personal Bests (PBs), 12 Season Bests (SBs) (in 2019) and 14 course Season Bests (SBs). We had a first finisher in Andy Chadfield at Sedgefield Parkrun whilst hitting his 50th milestone setting a new course PB by taking 1min 8sec off of his previous best. This year to date, BMHH have completed 534 Parkruns taking a total time of 9 days, 14 hours, 2 minutes and 17 seconds and covering 1659 miles (2670km). The average time dropped by 1 second to 25:50. 10 people have set all time PB’s this year, whilst there have been 28 course PB’s. As mentioned above, there was one milestone this week with Andy Chadfield completing his 50th Parkrun in style – well done Andy. 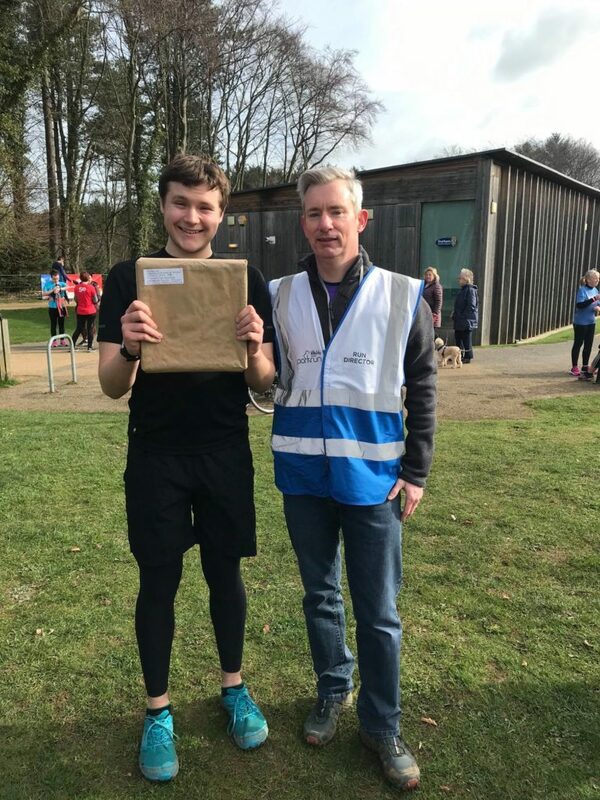 Nathan Nicholson ran his 100th Parkun whilst touring at Heslington Parkrun and setting an amazing 30 second all time PB of 18min 44sec! Excellent work Nathan. Rachel Golightly ran her 50th Parkrun at Albert Parkrun. Well done Rachel! Keep a look out for the following who are due to hit milestones within the next couple of weeks – it would be great to give them our support. Last weekend 38 BMHH ran at 7 different Parkruns. There were 3 all time Personal Bests (PBs), 2 course Personal Bests (PBs), 12 Season Bests (SBs) (in 2019) and 11 course Season Bests (SBs). We had a first female finisher in Jane Raper at Tees Barrage Parkrun. The full results can be found below this weeks full results at the bottom of the page. As we discussed in a previous Parkrun report, Michael Scott has made great progress over the last two years at Parkun. This was recognised by Sedgefield Parkrun this weekend where Michael was awarded Sedgefield Parkruner of the Year! The full Parkrun results can be found below. If your name is missing then please check that your Parkrun account has the club set to Billingham Marsh House Harriers & AC. Conversely, if you spot someone in the list that ought not to be there then let me know and I can make sure that their results are filtered out in the future.